I just finished reading Shonda Rhimes’ book Year of Yes. After being accused by her sister of never saying yes to anything, she agreed to every invitation and opportunity she received. During this year, she played with her kids every time they asked, appeared on Jimmy Kimmel and The Mindy Project, and gave several keynote speeches. While sharing her experiences, I wanted to be best friends with her. In one of the later chapters, she discusses losing two close friends over this year. Her other friends informed her that they were never really “friends” and seemed to be upset over her transformation. Shonda (because we are on a first name basis now) categorized her closest friends as her “ride or die” friends. I immediately decided to steal the term for my own. Since entering adulthood, I’ve lost several old friends. Some were toxic and needed to be cut, others just lost touch and, when space became too great, drifted apart. The result of my many offers to perform flower girl duties at my friend’s wedding. I still giggle when I think about this picture. I used to mourn the loss of these people quite frequently. As they were replaced by amazing, supportive friends, I realize that some of the breaks were definitely for the best. The current people in my life are my own “ride or die” group. They showed up even when I claimed I didn’t need them. They check in frequently and remember things that are going on in each others’ lives. We are silly, inappropriate, and supportive. We keep group messages going. After spending time with them, I will remember silly things we said or did and randomly laugh, causing Mike to glace over and humor me by listening to me recap our shenanigans. Sometimes, our sessions actually hold up and are hilarious to others. Usually, these recaps end with Mike shaking his head and smiling. I’ve said that I had to meet Mike when I was older; twenty-two-year old me would not have appreciated him. The same is true for my friends. I needed friends who expected more of me than they were willing to give, belittled my life choices, and made catty comments about me when they thought I was out of earshot. I needed these people to understand that I hit the friend jackpot as I grew older. My yoga girls, mommy friends, and running buddies slowly became my “ride or die” group. I thoroughly enjoyed Year of Yes and believe it should be required reading to anyone who has ever doubted themselves. Her ideas about friendship are one of my favorite takeaways. Shonda reminded me how important it is to have a “ride or die” crew. I am eternally grateful for mine! Part of being a parent is the constant worrying about whether or not your kid is doing okay, which is a direct measure of how you are doing okay as a parent. Liam is a great kid. He is kind and thoughtful. He was a trooper during the second half of February break. We spent three days running errands. By Friday, we were both done. To make matters worse, Friday was the day or errand errors. Happy dog at his check-up Wednesday! This kid and his giggles get me every time! We took Banjo for his interview at a dog daycare. Before adopting him, we booked two trips, so we need to find a place to take care of him while we are gone. The plan was to take him to his interview, once he passed the initial trial period, we were to leave him for three hours. We could then go up the street to get the oil changed on the car. The problem was, he didn’t pass, causing us to drive back across town, drop him off, then drive back across town to get my oil changed. (He had a second interview Saturday and passed with flying colors!) After forty minutes of driving, the dealership informs me they were running an hour and a half behind. We went somewhere else to take care of it, frustrated that I drove all that way for an “express” oil change. It took two trips to the blood center before I could donate. Liam is always happy to eat warm post-donation cookies with me! After the oil change, I drove to pick up the boots I had dropped off to be re-soled, reheeled, and stitched. (I cannot find boots to fit my calves so I’ve been fixing these bionic boots for six years now.) My shoes that were promised to be ready by Friday, were not. At this point, I was ready to cry out of frustration. We could have been doing so many better things on this beautiful day. We passed playgrounds, libraries, and other attractions. I put my eight-year-old in the car for errands that, for reasons beyond our control, weren’t following through. We got to the Blood Center when they were not yet opened. At our next errand, replacing Liam’s sneakers, we discovered that the place where I always buy Liam his shoes closed. Yes, I completely understand that these were first world problems. What kicked me the most was the Mama guilt, mostly brought on by Facebook posts of our friends visiting Boston, New York City, and doing all sorts of fun adventures while we failed at task after task. Liam still smiling at the end of a terribly unproductive day! If I were not with Liam, I would have followed my usual routine for handling stress: crying and eating junk food. As we walked back to the car from the shoe repair, two blocks up because we couldn’t find parking, I apologized to Liam multiple times for messing up our last day of vacation. He replied, “It’s okay. I’d rather be here with you.” When I told him how much that remark made me happy, he continued, “You told me I needed to clean my room when we got home. I’d rather run stupid errands than clean my room.” Liam proceeded to perform what he called his “errand fail dance.” While I was ready to cry and get frustrated, Liam found the best of a yucky situation. He managed to have the same effect on me that Mike does when I am upset. I often joke that Liam managed to inherit all of Mike’s best traits and all of my terrible characteristics; I love seeing Liam share Mike’s ability to keep me giggling, even when I wanted to scream. Liam has a gift for always seeing the positive; I hope that talent remains as he becomes an adult. I love that Liam is able to grow up in the same area I grew up. When we explore many of the same places I went as a child, I feel that I get to enjoy them for the first time again. I love that we get to enjoy such childhood favorites as Del’s Lemonade, Warwick City Park, and bakery pizza. This spring, Liam will make his first communion at the same church where I made my first communion many years earlier. Somewhere, there is a picture of me in my first communion dress in front of the church. I’ve been searching high and low for that picture, hoping to recreate it with Liam. These are three photos from my first communion that I have been able to find. Yes, this picture is the epitome of everything the early ’80s had to offer. It is also a perfect representation of my mother’s motherhood and party planning style. First communions then were much simpler. The priest posed for pictures with children in the church basement after mass. Families went to the house for simple celebrations. There were no professional photographers or restaurant receptions. After my first communion, we went to my house where my aunts, uncles, and cousins celebrated with me. We ate store-brand potato chips from plastic bowls and party pizza, happy just to spend time together. Anyone who knows my mom knows that, while she was the kindest, most selfless person in the world, she was not good at details. My Aunt Dot scolded my mom for not getting a picture of me in my dress. My mom borrowed a first communion dress from the mother of a neighborhood girl who made hers the previous year. I took it off as soon as I got home from church. So here I am, freshly called in from playing in the backyard on my metal swing set, mismatched clothed and messy-faced. The church gave each of us a plastic statue of a child at the altar. There were several plastic candles attached to the altar. In spite of everyone telling her they were not actually candles, my mother insisted they were real. She put it on my cake and lit the “candles,” covering the cake with tiny specks of burnt plastic. Speaking of cake, my mom was part of a huge family; that little cake was supposed to be enough to feed about twenty people. Also worth noting about that cake was that I believe it was the first cake ordered for me. Typically, we made our birthday cakes, to be enjoyed at our at-home birthday parties. I remember feeling very important that I had a cake made for me. Because my mom was always the one behind the camera, she left us with very few pictures together. This will be the picture I recreate with Liam in a few months. As parents, we try to do what is best for our children. When I feel like I need to plan a big birthday party each year, complete with matching utensils and paper goods match, I remember my home parties with party pizza, hugs drinks, store-brand chips, and games of pin the tail on the donkey and clothespin drop. We don’t need to plan big, perfect events for our kids. We just need to be there to celebrate. For years, I’ve struggled with shin splints. After even aerobic workouts, my right calf could throb for days. Stretching and consistently working out have been the two best ways I’ve prevented them. Taking long breaks from exercise then returning like no time passed always leads to injuries. When I take classes and particpate in Rhode Runner runs, a warmup is guarenteed. During my solo runs, I have to remember to warm up and cool down. This past Saturday, I did something that goes against everything I’ve learned about running: I went for my longest run yet and barely stretched. Oh, am I paying for it! I am doing every possible remedy: Tylenol, ice, heat, stretches, Biofreeze, foam roller. Nothing is helping. Wednesday, I ventured out for a shorter run but only made it to just under two miles, knowing that I would make things even worse if I kept going. I tool Tylenol and iced it three times last night.I haven’t worn any of my heeled booties, sticking to my Teiks each day this week. I don’t have a desk in my class, only a cart where I hook up my computer. While standing there, I’ve been stretching my calves as often as possible. The hope is that these steps will help me heal. That being said, I am nervous for my next long run. Everything I’ve been reading about half-marathon training says that I should be running at least three times a week. I’ve only been getting out twice and had to cut yesterday’s run short. While I am aware of the body’s need to recover and repair, I am also nervous about falling behind in training an missing my goal. Now that the warmer weather is sneaking in, it should be easier to fit in quick afternoon on weekdays. Tomorrow, I will venture out with the intention of running seven miles. If my body tells me to stop, that’s what I will do. My aspriration is to be more than halfway to my goal of running thirteen miles! If anyone has any suggestions for aleviating and preventing shin splits, I will happily try them! I love the idea of Valentine’s Day. A day to demonstrate your love for others is great, especially if it involves being cheesy and silly. However, the idea of going out for dinner and buying expensive, overpriced flowers never seemed necessary. Early on, Mike and I adopted a goal of “non-romantic” Valentine’s Day. Through the years, we have gone to Denny’s, visited the Chinese buffet (while using a coupon), ordered pizza, and made breakfast for dinner at home. This year, we are going to make heart-shaped pink pancakes. Liam is very excited to help make the dinner, asking if we can make one for Banjo. Even though Mike and I don’t exchange gifts, we bought Liam a stuffed dog. It’s fun to watch Liam get excited about “telling people I love that I love them.” He made Valentines for his classmates and neighborhood friends. He gave me hugs every chance he could this morning. Liam giving his mama some snuggles in hope of avoiding getting ready for bed. Liam is a kind child. He thinks of others and tries his best to be a good person. He gives me hugs before bed and at drop-off but is overall is not an affectionate person. His daycare teachers considered Liam hugs a big deal. Even when he is not feeling well, he wants to sit by himself. Only when he is trying to avoid bedtime does he truly snuggle. Even though I can see through his ulterior motives, I take them, especially when he reminds me that he “won’t fit in your lap forever.” (Seriously, he doesn’t even play fairly!) However, his stinginess in physical affection is more than made up for when it comes to verbal affection. He is more than willing to randomly tell me he loves me or something he enjoys about spending time with me or being my kid. He makes cards for no occasion and slips them to me. He proclamations are so honest and forthcoming, they melt my heart. I let Liam stay at school a little longer so I could go for a run. I did get to see the Patriots plane take off, which was cool after only seeing it on the tarmac. Liam was happy to have time to play with his friends. It was a nice day so they could finally play outside. I love our low-key and easy Valentine’s Days. We don’t need grand gestures to show our love; we find ways to show our love every day. If you had told me a year ago that I would be going out on long runs, I would have assumed you were thinking of the wrong person. “Running” three miles was a huge feat. So the fact that I went out this Saturday and ran six miles still boggles my mind. I have to admit that I am enjoying the longer runs for several reasons. It is therapeutic to get out on my own. The rhythm of heading out for longer distances is excellent for the mind! I can zone out, listen to my book, and the miles go by much easier than I ever imagined they could. While I could never (at this point) cover that distance on a treadmill, I enjoy setting a course and exploring my neighborhood. Thanks to Overdrive, I can borrow audiobooks for free. I’ve managed to listen to five books in the past month and a half! Running longer distances is definitely helping my mental stamina. Because I am focusing on distance, I run much slower on my longer sessions. During a shorter session, I aim to keep my pace around 12:30 (still not fast, but it’s where I am). For longer runs, my pace goal is at least a minute slower. In some ways, the longer runs are easier. It’s a game of mind over matter, providing another reason to just zone out and go. For years, I didn’t think I would ever be a runner. So many conversations about exercise led me to this admission. I’m great at yoga, I’m pretty strong, but I’m just not a runner. Running was one of the only things I genuinely tried to be successful at yet failed. (There are lots of things I am terrible at, but I have never really tried and applied myself.) The fact that I am able to run is huge, not just at face value, but because these goals alluded me for so many years. This afternoon, I will head out for a quick run after school. I told Mike that it would be a “short run- around two and a half miles.” Last year, that distance would have simply been a “run” in my vocabulary. The fact that I now have short and long runs illustrates my progress. This weekend, I get to venture out for a seven-mile run. I am looking forward to knowing that I am capable of running more than half of the thirteen-mile goal set for early May. Every so often, the universe lets you know that your adulting skills are on point. Sunday morning, I romantically got up with Liam and Banjo, allowing Mike a rare morning to sleep a little later. When he came downstairs at 8:45 and asked time I got up, I explained that Liam and Banjo let me sleep until 6:35. When did waking up at 6:35 on a Sunday become sleeping in!?! ?That night, I brushed my teeth while Mike let Banjo out one last time. I need to get to bed, I thought, it’s almost 9:00. Ten years ago, I would have thought nothing about going out at 9:00. Now, just being up that late is bothersome. Being an adult involves many challenges, but I am usually caught up on sleep and well-rested. Banjo is adjusting more and more. He’s such a smart dog. We have a great routine in the morning. When we go outside for our last play session before putting him in the crate and heading to school, we had to convince him to come inside. Now, he follows us when we walk to the dog, dropping his ball in the spot where we have been putting it. He’s a really good dog, so intuitive and quick to learn. He’s getting better and better on the leash. My favorite part of having a dog is seeing Liam flourish. Liam is a typical eight-year-old. He’s learning and trying to test boundaries and see what he can accomplish. Having Banjo in our family gives Liam another purpose. He takes pride in taking care of his dog. He imitates Mike’s commands, trying to support training efforts. We often have to remind Liam several times to keep Legos off the floor. Since adopting Banjo, this has not been an issue. “You need to keep your floor clean. Banjo can’t tell the difference between Legos and dog food. We don’t want him to get sick.” Keeping his room clean is no longer about his parents telling him what to do; he has a responsibility to keep his dog safe. I forgot how much I enjoy our morning walks. It gives us a good chance to really talk. Today, Liam told me all about Math Slicer, a game he purchased this weekend. It is similar to Fruit Ninja, but a math problem appears on the screen. Two possible answers pop up; the object of the game is to “slice” the correct answer. It is comparable to flashcards. We have been practicing addition and subtraction during our walks, quizzing Liam as we walk the neighborhood. Today, Liam spent most of our walk talking about how much he enjoys the game and that he is getting better and better and remembering his addition and subtraction. I appreciate the time to simply talk to Liam and, during our evening walks, Mike. I also enjoy getting out and seeing our neighbors. Having a dog gives us a great excuse to get to know our neighbors. One of my favorite Fenway pictures from 2007, when we went to Fenway as often as possible! On one of my first dates with Mike, I took him to Fenway. At this time, he didn’t know much about baseball. That would soon change. Every year since that first date at Fenway, we have made it several Red Sox games each season. The Red Sox have been a significant part of our lives; we have had a Red Sox themed wedding. This is the first year that we have had no interest in buying tickets. The cost keeps increasing, the team is not getting any better. I am hopeful that Alex Cora will bring some enthusiasm to the team, but we will not attend unless we happen to get tickets from someone. Even though it is a conscious decision, it feels unnatural to not have a game on our calendar. At our wedding, we asked guests to sign a jersey, which is now framed and hanging in our dining room. A few months ago, I wrote about how writing is helping me deal with anxiety. It’s also helping my perspective. I find myself focusing on the positive parts of my days. I’m blessed in the fact that I am pretty fortunate in terms of the life I have. I have a healthy, happy family, a job I enjoy, and an amazing group of friends. Writing and reflecting on this life allows me to focus on the positives, think about the things that are going well, reflect on what I need to improve, and formulate plans for next steps. After years without writing, I’m thankful something pushed me to return to the hobby. It’s been two weeks since Banjo joined our family. It feels like he’s been with us forever. We are learning each other’s ques and setting in nicely. He’s a happy dog, eager to learn, please, and rid the world of squirrels. Banjo was very attentive when he discovered my pocket full of crackers! We had a great run! We went a longer route than we usually do during our walks, covered over two miles. We definitely could have gone longer, but I didn’t want to push it and I needed to pick up Liam. I turned on my interval timer but didn’t need since Banjo kept stopping to smell and mark things. He and I kept a 12:33 pace, right where I aim to be during short solo runs. Best of all, I could truly be “hands-free” while running; everything fit in the belt! While running with Banjo requires adjustment, I’m glad he and I settled into the routine that works for both of us. I will miss afternoon runs on the Boulevard, but it is nice to have a running buddy for my short, weekday runs! This week’s creative writing class is reading Sandra Cisneros’ Eleven, a story about a girl whose eleventh birthday doesn’t go as she hoped. My students and I discuss the concept of expectation versus reality. They shared a few examples of toys and experiences that let them down. The cumulating activity involves rewriting the story through another character’s point of view. It is one of my favorite lessons. This conversation led me to think about expectation versus reality. Am I very far off from where I hoped I’d be? Over the summer, I stopped at Newbury Comics to sell some of the crates full of CDs taking up space in our basement. For non-locals, Newbury Comics is an insanely cool local chain of record stores. I browsed while waiting for the clerk to sort through my CD collection, remembering all the times I’ve visited this store over the past twenty years. I met Luscious Jackson there just after graduating high school, raced there to purchase REM CDs on Tuesday release days, and discovered all sorts of interesting things through the years. We now take Liam there to buy comic books. I looked at myself in the reflection of one of the cases, examining the forty-year-old staring back at me. I happened to be wearing cut-off jeans, an Elizabeth and the Catapult T-shirt, and Converse, the under part of my hair freshly died pink. Quickly and inconspicuously snapping a selfie to send to a friend, I couldn’t help but think that seventeen-year-old me would be okay with how I turned out. Teenaged me would have approved this! The decision to become an Engish teacher was made in seventh grade. Nothing sounded better than being paid to read and write all day. Obviously, thirteen-year-old me was very naive about teaching, thinking lessons would magically come to me, only to be delivered flawlessly. Anyone who has ever taught knows that, sometimes, even the best lessons fall flat. I’d like to think that this is what I expected. I have nights attached to my computer, long days of constantly being “on,” and constant concerns about how to better help my students achieve. I’d like to think that I am fair and my students know how much I care about them. Recently, a graduating student stopped by to say goodbye. She thanked me for pushing her, even when she didn’t want to be pushed. I love seeing my students accomplish things they doubted they could complete. Those A-Ha! moments are all we need to help keep us going. When I imagined being an English teacher, I’d like to think this is what I had in mind! Parenting is another story. Mike and I were so naive about this as well. I swore that my future child would never sleep in our bed or wear all tacky character clothing. Then, said child was born. He was prone to ear infections, often waking up in the middle of the night screaming in pain. Once he had tubes put in his ears, he continued to wake at 4:00 every morning. By the time we got him back to sleep in his crib, it was 5, allowing Mike only fifteen minutes of sleep before his alarm went off. Liam began coming to our bed around four o’clock each morning. The consensus was that sleep with a toddler in the bed was better than no sleep at all. For the first few years, it was easy to avoid character apparel. Eventually, he discovered shirts with Thomas, Lightning McQueen, and Dusty Crophopper. Eventually, it did not matter. Seeing the joy on his face when he received his first pair of light up Thomas sneakers made me understand why parents buy these ridiculous shoes. Like many new mothers, I never anticipated how exhausting parenting can be. Yes, I love being a mother and would not change it for anything in the world. However, my mind never gets to turn off. It is constant thinking, considering, and worrying. Did I get the Box Top off of the granola bars before putting it in the recycling bin? Do we have extra tubes of toothpaste in the basement or should I buy more while they’re on sale? Did I spend enough time with Liam today? Like, real time, talking, playing, and interacting? Does Liam know is addition and subtraction families well enough? He’s going to start memorizing multiplication soon; he’s got to have addition and subtraction down before learning the more difficult material. When was the last time I dusted the living room? or scrubbed behind the toilet? While I wouldn’t change my life for anything, motherhood is a lot of work. Is it more than I imagined? I don’t think so. I do know that my concerns about motherhood before having Liam are definitely not the things I worry about now. I will chalk this up to being part of the adventure. Sunday, I set the plan to head out and complete my longest solo run: five miles! Armed with Scrappy Little Nobody downloaded from Overdrive, I set out to prove mind really is over matter. 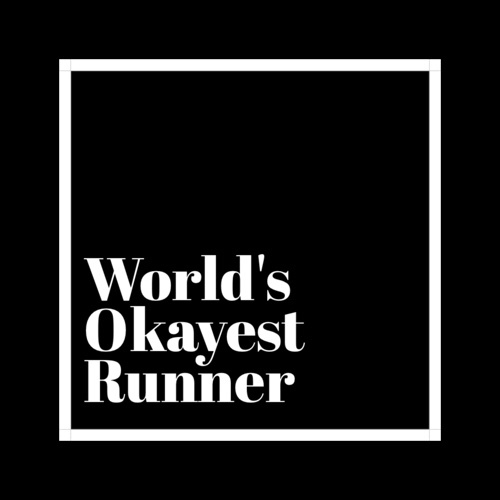 As of this week, I am officially training for my first half marathon. The weather wasn’t bad; it was chilly but not windy. Two layers made it more than bearable. As soon as I got out on the road, I discovered a cut on the back of my left ankle. I know that I need new sneakers and have been trying to get the last life out of my current ones before investing in new ones. After a few minutes, the pain subsided. Once I got out there, I was fine! After my last run, I played with the interval app, adjusting the intervals to two minutes of running and fifty seconds of walking. I pushed myself during the running times, but not to the point of exhaustion. The goal was to run longer, not faster. I also made a point of running away from my house, rather than doing loops that allow a quick escape to home. I ran to the airport, fully aware that whatever distance I ran would need to be backtracked if I ever wanted to get home. Honestly, I wanted to see the Amazon Prime plane up close. While seeing it parked almost daily as I drive by to pick up the highway, it is clear that plane is larger than many of the other planes at the airport. In an airport that mostly hosts 737s, Amazon’s 767 is a big treat. I was hoping to see it a little closer. When I arrive at the spot where it is usually parked, I was surprised to see it gone. I usually drive by at 7am, it was now 8:30. As I was looking for it, the plane flew overhead. Attempts to get a picture of it in the air failed. Chasing an airplane was a fun distraction halfway through my run! The rest of the run was delightfully uneventful. That last half mile dragged, but once I hit the five-mile mark, I felt like I could do another mile. I didn’t, but I felt okay. Honestly, this run was to prove that I can do it. Once I made myself run five miles, I know that I can run six miles next weekend.